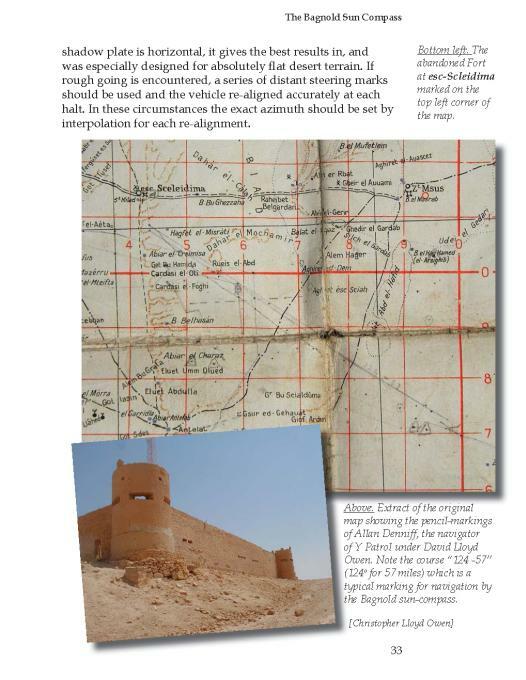 The first known use of a sun-compass for motorized vehicles in the Desert of Egypt was during World War I with the Light Car Patrols in 1917. To navigate during his 1929 expedition into the desert of Egypt, Bagnold used a magnetic aero-compass, which was lent to him by the Royal Geographical Society. 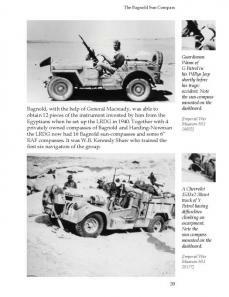 It was carefully mounted on one of the expedition's Ford-cars but Bagnold could not manage to compensate it properly due to the influence of magnetism caused by the metal structure of the car. 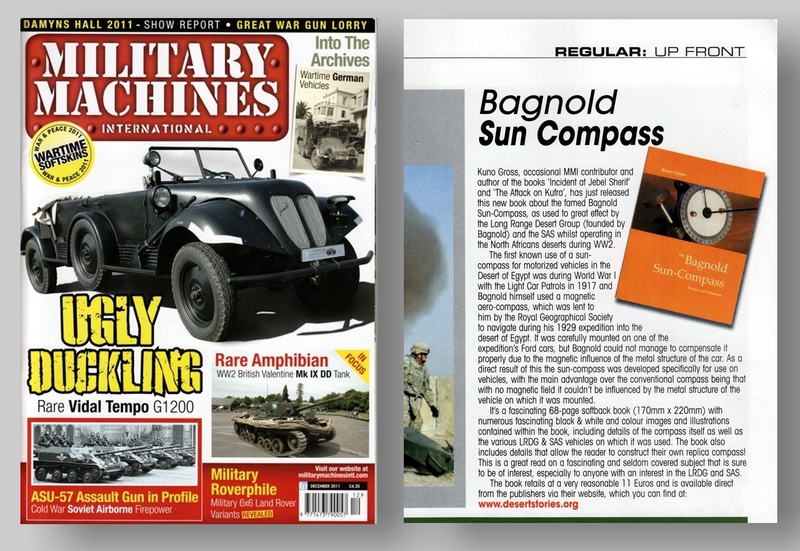 Bagnold found that kind of compass unreliable for the purpose and changed to the use of sun-compasses for his next expedition to the sand-sea in 1930.Bagnold's invention was different from all other sun-compasses since it could be used whilst the vehicle was driving. 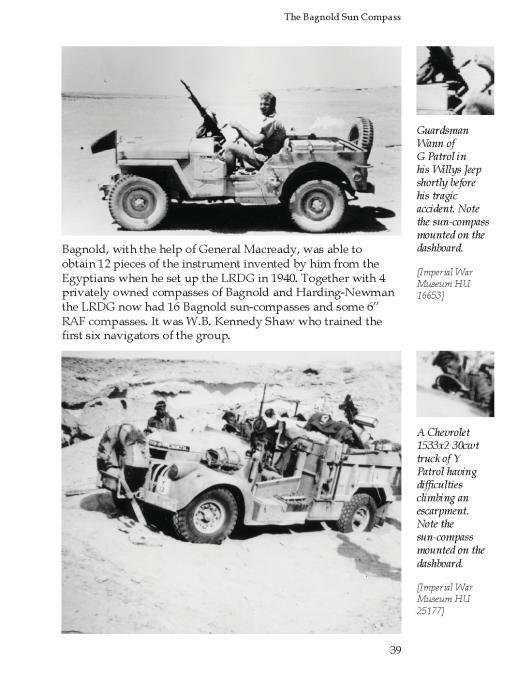 However, although it was an easy to handle and very useful instrument, the British army never adopted it but kept using the other models. 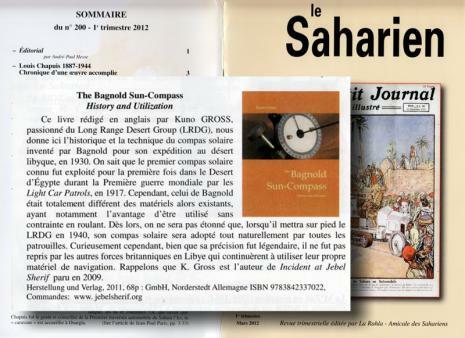 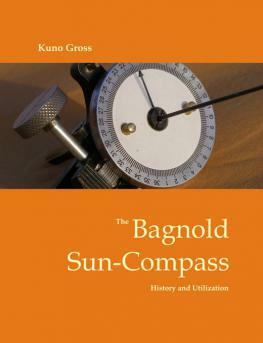 When Bagnold founded the Long Range Desert Group in 1940, his sun-compass became the standard instrument for this unit. 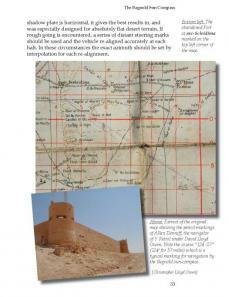 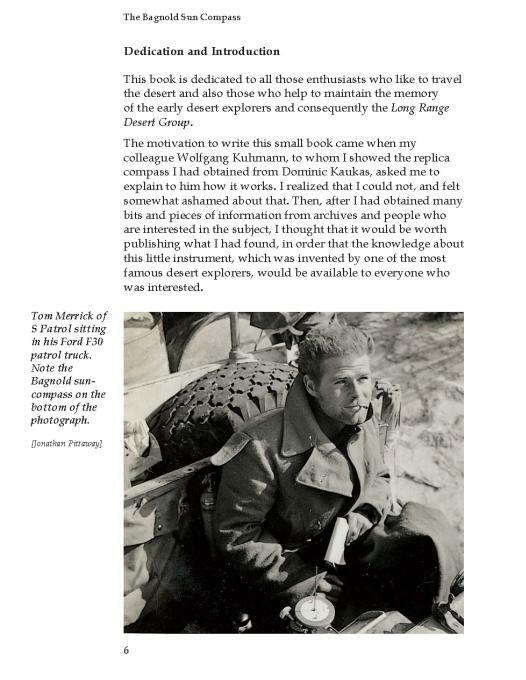 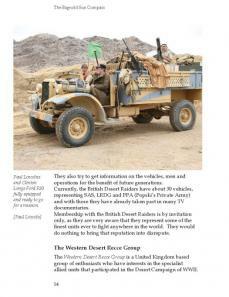 Its navigators soon became the unrivaled masters of desert navigation. 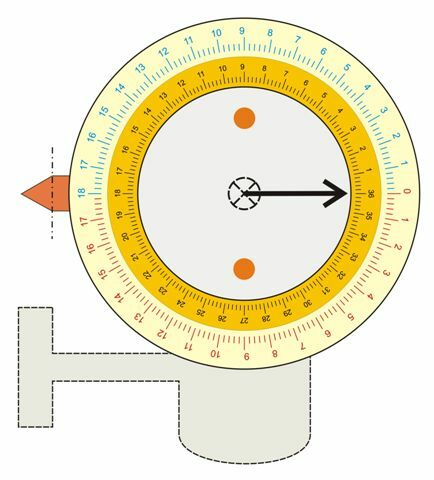 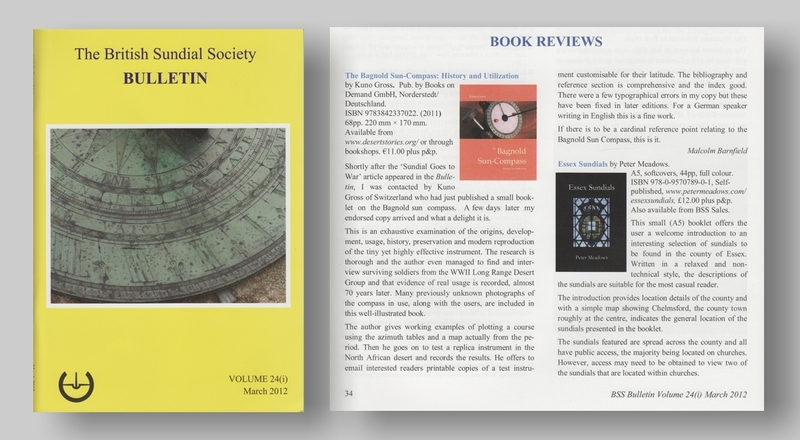 To avoid that readers of the book would have to cut the paper model of the sun-compass from te book, the drawing is added here as well.